Wise Tivi Camera ($89.99) – A set-top box with a front camera that can be conveniently placed on top of the TV. 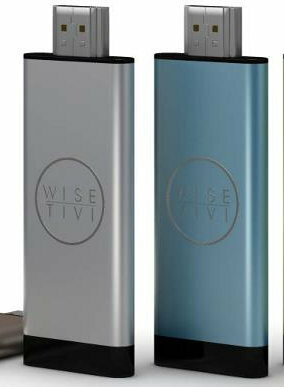 Wise Tivi Portable ($79.99) – The mini PC / PC-on-an-HDMI-stick version. Wise Tivi Box ($59.99) – A standard Android set-top box with IR remote control. USB – 1 x micro USB OTG, 1x SB 2.0 HOST and 1x micro USB for power. That is until you start to look at the pictures / renderings… So the camera version appears to have a full SD card slot, one USB host port and an HDMI output (but there’s no info about the camera), the mini PC matches the specifications above, and the Wise Tivi Box comes with HDMI & composite output, Audio RCA stereo output, Ethernet, 2x USB host ports and a full size SD card slot. Considering you can get a device with the same specs for $50 to $60, I don’t find Wise Tivi Portable particularly interesting at $79.99, although the anodized aluminum case makes it look nicer than most other mini PCs. 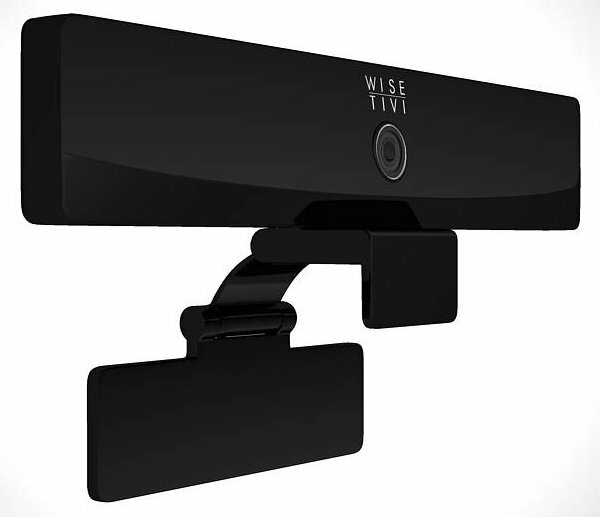 The Wise Tivi Camera on the other hand is an interesting innovative product, and could be of use for people watching to do video-conferencing / use Skype regularly with their HDTV. Wise Tivi Box is the only regular set-top box featuring Rockchip RK3066 I’ve ever seen. Ethernet connectivity will allow you to play high bitrate videos (>10 Mbps) and at $59 this is much cheaper than equivalent AMLogic media players. The company will also provide an Air Mouse and a Game PAD (but only go to those 2 products pages if you are interesting in UFOs…) , which would make it an alternative to the OUYA (excluding OUYA game marketplace). 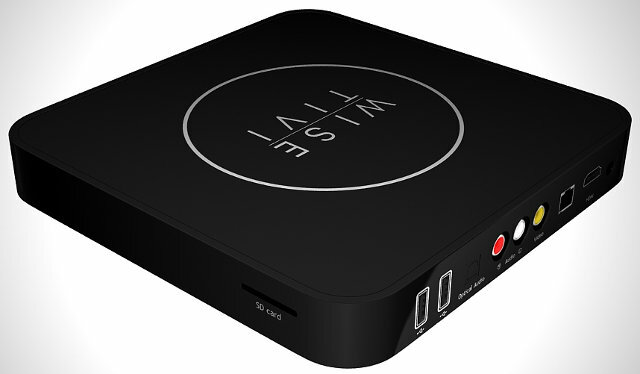 The company has just started accepting pre-orders for the 3 media players. Prices include free shipping, but I could not find estimated delivery date, and since all they have on their website are renderings, this could be a few months away. You can find more information (including the UFO part) on Wise Tivi webpage.